(globes). Netanyahu's silence - not calling to the prime minister, Ehud Olmert, to leave Office and suspend himself - was his most powerful Saying his last week. After months that the likud called for Olmert to step down , with a news on the filing of an indictment against him (after the hearing), the Loud out-called Opposition like swallowed their Tongue. While Kadima, the Prime Minister's party, have decided to put a decisive amount of Pressure to show Olmert the Way out. Kadima fears that the only way to win, that looks like right now, is if Olmert Leaves, and now. Olmerts suspension will give Livni a few months in the Prime ministers Chair and actually in Charge that will help her struggle against the Likud and netanyahu . "If he does not Leave , we are going to lose", was the excuse of one of the senior advisers. Olmert, who brought us to victory in elections, will be Blamed, if needed , over our Collapse. Despite their demonstrating secured victory in the Public, its not sure that that is the tone in the closed meetings. The order sent last Wednesday evening to all the members to stop their stop their business and rush to the general meeting , stressed that Kadima is looking for the light at the end of the tunnel. Even Kadima understands that Livni is in trouble. She can not focus its message of clean hands, while she is surrounded by suspects in her own party; and a Economic message can also not take the lead of the campaign, when she is not even invited to the Economical discussions ; A national Security message will also not make sense, if Expressing her Experience, because she just has no national security experience . While the mess in the Likud headquarters continues and from so many consultants they do not see Netanyahu, it seems like Olmert will do the job for him, what he will need to do is simply not to make mistakes. The Likud chairman made it clear that his plan would also form the basis for the 2009budget. Tax breaks, reform of the Israel Land Administration (ILA), and the expansion of Israel's highway and railway infrastructure - these are the key measures in the economic plan of Likud chairman Benjamin Netanyahu, which he intends to put into effect, should he become prime minister following the upcoming elections on February 10. "These are three immediate measures which we will put into effect a few weeks after forming the government," he said today at a Deloitte Brightman Almagor conference on "End of the tax year in the shadow of economic crisis". Netanyahu made it clear that the plan would form the Likud's basis for the 2009 budget. The plan would, he said, include additional measures such as the opening of R&D centers, and reform in the higher education system. "It won't take days or weeks, but we can get these reforms moving within a few quarters," Netanyahu said. "We will emerge from the crisis stronger. We will create new jobs. To prevent unemployment from rising, we must create thousands of jobs. If we want to prevent unemployment from rising again, and maintain it at this level, we have to maintain growth and safeguard jobs," he added. Netanyahu gave details of his plan. The key measure in the tax breaks, he said, would be the lowering of income tax for the middle classes. "It makes a lot of sense to lower taxes, since these will energize consumers, investors and banks. They make credit more liquid, investments more attractive, and give people the feeling that they have more free income." As to the second key measure in his plan, reform of the ILA, Netanyahu said "There needs to be a release of the capital buried in the ground. Israel is rich in contained capital, and this capital is in the 33% of land in Israel held by the state-run monopoly, the ILA." The third key measure contained in the Likud program calls for the expansion of the highway and railway infrastructure. "This will also take time, but the very action itself will jumpstart escalated investment in the economy. My aim is to get Israel out of the crisis very quickly. We will set about this immediately with a series of clear-cut measures, so that the chain reaction is swift, together with reforms of the real estate and construction market," Netanyahu said. He added, "We are in a global crisis that has paralyzed the three key intersections - the banks which are not giving credit, investors, and customers who stop consuming because of this. These three bottlenecks are becoming increasingly congested. Government action should therefore aim to release these bottlenecks and get traffic moving. "The government should make it clear that no bank will fall. This security needs to be backed with a willingness to act," Netanyahu added. As to investment, Netanyahu said it was on the verge of grinding to a standstill. "Investors always barricade themselves in when a crisis is at its peak, but the moment there is a government policy in place that starts the wheels of growth rolling, they will come out again. We need just a drop of the international ocean of credit. For us this is everything," he added. The top three fund-raisers among Knesset members ahead of their respective party primaries are all from the Likud. The word in the Knesset is that businessmen are good at picking a winning horse - and that's where they're putting their money, with the hope that having friends in high places can help them after the elections. In pole position in the fund-raising stakes is MK Limor Livnat, who has brought in NIS 252,600 from donors. Not far behind is MK Gideon Saar, with NIS 238,122. In third place is MK Gilad Erdan, who has managed to raise NIS 221,197 so far. Erdan began raising money for his primary bid back in May 2007. Other Likud MKs who could give the top three a run for their money are Yuli Edelstein (NIS 127,004), Yuval Steinitz (NIS 111,378) and Moshe Kahlon (NIS 91,925). In the last election Likud MKs complained that businessmen preferring to give to Labor. In recent weeks, however, and despite the losses caused by the global economic crisis, Likud MKs have managed to raise considerably more than their Labor and Kadima colleagues. While donors are clearly putting their money where their ideology as well as their personal trust in specific MKs lie, it must be assumed that they are not ignoring the opinion polls. If they are borne out and their favorite MK gets a cabinet posting or an influential legislative position, the donors will have guaranteed themselves access to a sympathetic ear in a well-placed position. Sources in the Knesset say the situation is likely to become more acute after Likud's primary on December 8, after which potential donors will know exactly where their favorite candidates are positioned on the party list and whether they are likely to land a top job after the general elections. Olmert lashed out at Livni following her statement, telling confidants that "Livni is trying to build her campaign on my back." An Olmert aide accused Livni of "opportunism, intended to enable her to be prime minister at any cost. If she doesn't like it, she can resign." The renewed clash in Kadima's leadership yesterday shook the party, which is plunging in the polls ahead of the approaching elections. A Kadima MK said Olmert had to go "or Kadima will be badly damaged in the elections." A senior official in the Kadima Party denounced Prime Minister Ehud Olmert, and told Ynet that "it appears Olmert has signed a treaty with Netanyahu against Livni." Olmert said he believed Livni and the Kadima MKs were taking advantage of the announcement made by Attorney General Menachem Mazuz, who said he planned to indict the prime minister on the accusations against him in the Rishon Tours double billing affair. Olmert's affiliates said Livni's interest in seating herself on the prime minister's seat before the national elections in February is what drove her to call for Olmert's suspension. The sources claimed the Kadima chairwoman wanted a chance to prove to the public she could handle the job, despite her recent inability to assemble an alternate government. Earlier Thursday the Kadima chairwoman said there was "no other option" for Olmert, and that he had to temporarily resign from office. "In 1977 Rabin did not hesitate and immediately announced he was taking a leave of absence. The PM, just as any other citizen, is innocent until proven guilty, but the citizen Ehud Olmert must conduct the battle (to clear his name) from home and not from his Knesset seat," said Livni, who replaced Olmert as Kadima chief following the September 17 primary elections," she said. "Israel cannot accept one more day in which he is acting as prime minister. It is a moral and practical trial (for the country). It is important that Kadima make its position known on a day like today." But Olmert's affiliates insisted that Livni and Kadima were putting their own interests before that of the public and the political stability required at this stage. They claimed the global financial crisis and the security situation in the north and south necessitate constancy until the election. "This country needs to continue to conduct itself. There is no room for the prosecution's issues of prestige, especially after the blow it received from the Talansky and Katsav affairs, nor is there room for the political needs of other officials," an associate of the prime minister said. Opposition Leader Benjamin Netanyahu expressed support of the government's plan to deal with the economic crisis on Thursday. "We are in the midst of a serious economic crisis; this is not the time for politics. Today I support the prime minister's plan even if I don't agree with all of its details," Netanyahu said. Likud: Livni's stance is determined by desire for office and not by principles. "Today, Tzipi Livni once more demonstrated that she is certainly no leader," the party said in a statement after the Kadima part meeting at which Livni said Olmert should step down. only because it's worthwhile for her. Livni is a politician of expedience, with no leadership ability." (Yossi Verter- Haaretz).As far as Olmert is concerned, let them both fall together. The significance of his announcement yesterday is that he is staying until a new government is established in mid-March 2009. And even then, it is not at all clear that deep down in his heart he would not rather pass the keys over in an orderly fashion to Netanyahu. Concerning Netanyahu, Olmert can relax. Bibi will not send the Likud young guard to protest outside the prime minister's residence demanding he go home. If anything, the Likudniks will shout: Olmert stay! Assuming Olmert does continue to serve as the head of the transition government, no significant political changes can be expected. In any case, Olmert is at the end of his rope. Many long weeks will pass before his hearing, and the economic crisis is expected to worsen, drawing most of the frightened public's attention. Livni will continue to struggle with a monkey in the shape of a prime minister from her own party on her back, with an indictment hovering over him and still continuing to insist on conducting negotiations with the Palestinians and the Syrians. Maybe the return of the corruption issue to the election campaign will add a little color to Livni's cheeks, and add a seat or two in the polls, but she cannot depend on it for long. As long as the economic crisis is going strong, Livni will be on the defensive. She can try to draft the Kadima Knesset faction to put pressure on Olmert, but he is not even required to hear them out. He is no longer involved. Politics is beneath him now. In any case, since Livni was chosen he no longer attends faction meetings, and no one can enter his official residence without an invitation. Until the economic crisis broke, it seemed corruption would be at the center of the election campaign, and that was Livni's strength - in fact her only advantage over Barak and Netanyahu. But with the economic crisis, who cares anymore about Rishon Tours. Kadima Chairwoman Tzipi Livni is expected to convene an urgent faction meeting on Thursday in light of Attorney General Menachem Mazuz's decision to seek an indictment against Prime Minister Ehud Olmert over the Rishon Tours double-billing affair. Livni aides said they expect the chairwoman to call on Olmert to suspend himself immediately. Civil Fights: Stop whining, start voting! (jpost).The election campaign has begun, and rightists are once again demonstrating why they remain politically impotent. I hear constant whining and moaning about Likud's turn to the Left: Why is Benjamin Netanyahu bringing leftists like Uzi Dayan and Assaf Hefetz into the party? Why is he talking about forming a government after the election with leftist parties like Labor and Kadima? Yet the whiners and moaners largely refuse to do the one thing that could actually affect Netanyahu's choices - namely, vote. For instance, Netanyahu cannot actually grant Dayan and Hefetz places on Likud's Knesset list, thanks to a reform he himself introduced in 2005, under which the slate will be chosen by party-wide primary. Thus Likud members - or rather, those who bother to vote in December's primary - will determine whether leftists make it onto the list at all, whether they constitute a minority or majority of it, and whether they occupy the top slots or the bottom slots. And if Likud forms the next government, the answers to these questions will be vital. FIRST, THE Right's numerical strength on Likud's list is the key constraint on Netanyahu's ability to move leftward after the election - both because no politician would commit political suicide by going where his party refuses to follow, and because he will need Likud's Knesset votes for any major diplomatic move. The disengagement, for instance, could never have passed had two-thirds of what was then Likud not backed it. Thus if Likud's list winds up in the Dayan-Hefetz mold, Netanyahu will find it easy to move left. But if it consists mainly of people like Bennie Begin and Yuli Edelstein, a sharp left turn will be difficult: The necessary Knesset support will be lacking. Second, an MK's place on the party list greatly influences his chances of becoming a minister. Netanyahu might pluck one or two ministers from the bottom of the slate, but any large-scale circumvention of those at the top would spark a party revolt. Thus a slate headed by rightists will produce a more rightist cabinet. And since the cabinet makes most governmental decisions, its composition is crucial. Rightists thus have an especial interest in Likud's primary this year. But this interest existed even before Netanyahu's reform, because Likud has chosen its leader by primary for years - and Likud's leader is the closest thing the right has to a prime ministerial candidate. No party farther to the right will lead the country anytime soon. Nevertheless, far too many rightists still turn up their noses at the idea of joining Likud and voting in its primaries. Likud is not ideologically pure enough: It attended the Madrid conference, signed the Hebron and Wye agreements, and withdrew from Gaza (before the pro-withdrawal faction left to become Kadima). Yet as long as rightists prefer whining and moaning about the party's leftward tilt to dirtying their hands by joining it and using their votes to have an impact, Likud will go right on inching leftward. RIGHTIST PURISM also lies behind Netanyahu's desire to form a government with Labor and Kadima. If current polls are accurate, Likud will win 30 to 35 seats, and a coalition requires 61. A strictly right-of-center coalition, if one is possible at all, would thus require at least four other parties, some of them serial extortionists, and even then, it would barely exceed 61 seats. In short, it would be a coalition constantly on the verge of collapse, kept afloat only by regular blackmail payments and incapable of implementing any serious reforms. If the goal is solving the country's problems rather than mere survival, such a coalition is not worth having. Netanyahu will thus have no choice but to bring in either Labor, Kadima, or both. The situation would be completely different if Likud had 50 seats rather than 30: Netanyahu's choice of coalition partners would be much greater, and whichever partner(s) he chose, whether rightist or leftist, would have far less power to dictate his moves. That, however, will never happen, because too many rightists prefer either voting for small parties - including fringe groups with no chance of entering the Knesset - or not voting at all to voting for a party that is less than ideologically pristine. One would have thought 1992 would have cured the right of this folly: Had all the rightists who wasted their votes that year on parties that failed to make the Knesset voted Likud instead, Likud would have formed the government instead of Labor, and there would have been no Oslo. Yet if anything, the volume of wasted rightist votes has only increased since then. Moreover, even voting for small parties certain to win seats is playing with fire, because most polls show Likud and Kadima virtually neck and neck. That means a few votes either way could determine whether Netanyahu or Tzipi Livni forms the next government. LIKUD WILL never be as rightist as the ideological right would like: Precisely because it aspires to be a governing party, it must remain near the center; a far-right party cannot win. Yet the center-right is still vastly different from the Left. It was the Left that brought us Oslo, Camp David, the intifada, the Second Lebanon War. It was the Right (Sharon's first government) that brought us Operation Defensive Shield and the subsequent sharp drop in terror. Politics is the art of the possible, and that means the choice is often not between good and bad, but between bad and worse. Still, the difference between bad and worse can be substantial: Just compare the 63 terrorist deaths under Netanyahu's first government (1996-99) to the 211 of the preceding three years. If one truly sees no difference between Bennie Begin and Uzi Dayan, between Netanyahu and Livni, there is indeed no reason to vote. But people who understand that there is a difference have only two choices: They can dirty their hands and cast their votes where they might matter, or they can continue confining themselves to whining and moaning about Likud's leftward turn - thereby confining the right to continued political impotence. Amir Dan, Prime Minister Ehud Olmert's communications director, said Wednesday that the prime minister will not suspend himself from office, following Attorney General Menachem Mazuz's decision to indict him in the Rishon Tours' double billing affair. ביבי? אני לא מאמין לו! Tzipi! You can run , but you cant Hide from your partnership in this Failing , unsuccessful & dangerous Government, Your willing to Divide Jerusalem, and your support to give up land for the Hamas and the terrorist groups, Your hesitation to Resign after the Lebanon war and at the start of the Investigations on Ulmert and his Friends, and on top of all - your UN-experience and un-identified record. its time for Change, and let the Israeli people Decide what is the best way to Change this Country to a Better & brighter Future. Attorney General Menachem Mazuz advised Prime Minister Ehud Olmert that he is considering indicting in connection with the Rishontours' double billing affair, pending the hearing. Associates of Likud Chairman Benjamin Netanyahu on Wednesday have warned the party's Knesset members and those seeking a spot on its roster not to attend a rally organized by Moshe Feiglin, leader of Likud's Jewish Leadership faction. The rally was scheduled to take place in Jerusalem later on in the evening. Likud officials fear that any show of support for Feiglin, who is known for his hard-line rightist views, will help him land a top spot on the party's roster in the primary elections, which, according to them, would be detrimental to the party's campaign ahead of the February 10 general vote. Feiglin told Ynet in response "he who resorts to scare tactics is revealing something about himself. I fear no one - except God and my wife, a little." MK Zeev Elkin (Kadima) announced that he would not be running for a slot on the next roster. "The Kadima I knew doesn't exist anymore," he said at a press conference held jointly with Likud Chairman Benjamin Netanyahu. Elkin said he planned to run for the Likud instead. Netanyahu told reporters that Likud would hold on to the education portfolio. "I want to make it clear that education will be under Likud's control – not Shas'," he said. Asked for his reaction to Shas spiritual leader Rabbi Ovadia Yosef's remark that all secular teachers were "asses", Netanyahu said "I categorically reject this statement." (Haaretz).Likud's campaign strategy, according to some of its architects, will give the economy the same level of importance as security. While Likud's rivals plan to go after Netanyahu, Likud will stress his involvement in the economy, relying on his image as someone who already rescued the economy once. One Likud source said Netanyahu will be the election campaign's "Mr. Economy." Kadima will probably take a swipe at Mr. Economy and accuse him of gambling on pension funds - and losing. Likud officials say they expect attacks of that sort but still believe that Netanyahu is "a winning brand-name" when it comes to the economy. Likud is expected to retaliate by claiming to offer a more coherent approach than Livni on economic issues, while highlighting Livni's relative lack of experience in the area. This could be partly why Livni is surrounding herself with a team of economists, with whom she is reportedly consolidating a plan to "save the economy." (haaretz)It is already clear that this election will revolve around the economy. In the run-up to February 10, the economic data will only get worse and the media are already dwelling on economic issues day and night. Defense is marginal, the peace process nonexistent. In the United States, the economy liquidated John McCain's presidential bid, even though he had nothing to do with the financial collapse, and elevated Barack Obama, despite his lack of experience. It is all a matter of image, of mass psychology. Here in Israel, if the crisis worsens in the coming weeks voters will also seek change - and absurd though it sounds, Benjamin Netanyahu is seen as representing change. The Labor Party is counting on Kadima's collapse and hoping to reap some of the spoils - two or three seats. Labor has some economic experts, first and foremost Prof. Avishay Braverman, and is now seeking others. And Netanyahu, of course, has himself. He is so pleased with himself that he even has time for gimmicks: yesterday, a press conference with former basketball star Tal Brody, and today, a press conference with former entertainer Sefi Rivlin. Kadima MK Ze'ev Elkin, who was a constant thorn in the side of the party's leadership, announced Tuesday that he will run for the next Knesset with the Likud in an effort to harm Kadima Leader Tzipi Livni's election chances. Elkin earned the wrath of Kadima's leaders when he was the only MK in the party who voted against Shimon Peres for the presidency. He burned his bridges on his way out of Kadima last week with a strongly-worded letter to Livni in which he accused her of shifting the party to the left of Meretz. "I could have easily been reelected to an immigrant slot in Kadima, but I decided the best way to prevent Livni from becoming prime minister was to strengthen the Likud," Elkin said. "I know it's hard to compete in a new party just two weeks after joining. It's a big risk, but I decided to take it," he said. Likud chairman Binyamin Netanyahu actively pursued Elkin and ensured that his party's bylaws would allow him to run for the two realistic slots on its list - at 21 and 30 - that are reserved for immigrant candidates, even though he was already an MK. Netanyahu decided on Tuesday to hold a separate vote in the party's December 8 primary for its immigrant candidates. The Likud law committee decided late Monday night to allow Netanyahu to make that change instead of expanding the number of candidates each member could vote for beyond the current 10, as several top party activists had wanted and the Likud's MKs had vigorously opposed. "I'm not a magician and I'm not perfect," Labor Chairman Ehud Barak concedes during his interview with Ynet, "I'm not blind – surely I've made a few mistakes. On the political level, in how I conducted myself, by focusing on making peace or reasserting Israel's might based on the lessons of war. I focused on that and ignored other things – this was a mistake." "It's true that people are angry with me, angry with Labor, and that's fine. Be angry with us, lash out at us, condemn us. But don't punish yourselves. At the end of the day we're talking about people's lives." Pollsters attribute the exodus from Labor as an abandonment of supporters to both the left and the right – namely to Meretz and Kadima, respectively – but Barak urges voters to think twice. "A country isn't a game. You're not choosing a person, you're choosing a party. Only an idiot would think that by giving his vote to Kadima he is also giving it to a bloc – he's not. It could be that the morning after the elections the results are 60-60, and Bibi (Likud Chairman Benjamin Netanyahu) offers some people in Kadima two ministerial posts, a deputy minister and a committee chair, and people will leave. These are people prone to doing that. They've done it before, they left in the past but they can jump back. In Kadima you don't know if you've given your vote to Livni… or to clear-cut rightists. "It's an ambiance party, that is responsible for the sidelines of the disengagement and its consequences, for the Second Lebanon War – and now they're telling us it's 'a different kind of politics.' There's a qualified woman at its head, but she's surrounded by people who have been convicted of criminal offenses and never appealed, people who are being investigated, and we're not just talking about one or two. Kadima (lit. 'forwards') means Backwards." And what of Netanyahu's Likud? "They'll lead us to a regional confrontation and then to a confrontation with the whole world. The world over is swamped with the economic challenge, with political issues, and they expect to see progress here in the region. The Israeli-Palestinian conflict is a yoke. Netanyahu and the Likud will lead us as they have in the past into a standoff with the world over policies that will lead us to a dead end." But would Labor still consider joining a government under Netanyahu? "We will not join a government if its foundation is not in line with ours. We are not afraid to sit in the opposition. We will demand negotiations with the Palestinians, and with the Syrians, we will demand to see an Israeli proposal for a comprehensive peace. The economy, the collapse of which is the responsibility of Bibi and the Likud, must be helped back to its feet according to our way of doing things." It's doubtful you'll get what you're after. Are you declaring yourself the next opposition chairman? "Gladly. If that's what the voters decide. Bibi's way leads to stagnation and a political dead end and social ruin. If we can't be in a centrist-left bloc capable of forming a government, then I will lead the opposition. But if Netanyahu changes his spots and our way prevails – how could we not consider (joining his coalition)?" Arutz 1 Poll: Which Party do u think will Deal better with the Economic crisis ? ARUTZ 1 Poll shows the Right Likud Party is Pulling ahead in the Race and is building Momentum to a Historical Victory over the Incumbent Kadima Party and is leading Kadima with a 12 mandate lead, while the Labor party is heading for a upsetting defeat and is fighting for the 8th place in the Parliament parties. Former Maccabi Tel Aviv basketball star Tal Brody formally joined the Likud's Knesset race on Tuesday morning at a press conference with party chairman Binyamin Netanyahu at the Likud's Tel Aviv headquarters. "Tal put basketball on the map and he will help put Likud on the map once more," said Netanyahu at the gathering. Brody had been rumored to run for months, but he waited to announce his candidacy until he determined what his chances were of entering the Knesset. He will face stiff competition in the December 8 primary from the Likud's current MKs and the many public figures who have recently joined the party. Brody is best known for leading Maccabi to its historic win over powerful CSKA Moscow in the 1977 Euroleague basketball semifinal, which was seen as a defeat by Israel of the Soviet Union that armed and supported many of its enemies during the Cold War. Brody will become the fourth former resident of the United States to enter the race, joining Netanyahu's former chief of staff Yechiel Leiter, Government Press Office director Danny Seaman and Legal Forum for the Land of Israel co-chairman Yossi Fuchs. 72 percent of Israelis believe the level of corruption in the country is high or very high, according to a study published Monday. The survey was conducted by the Sapir College and unveiled at the opening session of the Sderot Conference for Society on Monday. It also revealed that 45 percent of Israelis believe that the level of corruption in the government is very high, as well as 40 percent who believe the overall level of corruption is higher than ever. The institutions that are perceived as the most corrupt are the Knesset (46 percent), government ministries (44 percent) and political parties, which 69 percent of the people surveyed think they are inherently corrupt - a 10-percent increase since last year. Among the institutions perceived as having a low level of corruption are the Israel Defense Forces, the judicial system, the healthcare system, the National Insurance Institute, and - despite the current financial crisis - banks. will she cry like this if defeted? (IsraelNN.com) Kadima party officials, with support from part of the Israeli media, have blamed Binyamin Netanyahu for reportedly large pension fund losses. As Finance Minister in the Sharon government, he originated an economic reform policy that is widely credited with catapulting the Israeli economy to one of the strongest and most stable in the world before the current global financial crisis. pension funds in the stock market to no more than 25%. to 33 on 12 March 2008.
called today for an investigation. At a meeting of ministers and strategists involved in her campaign, Livni lashed out at Netanyahu, accusing him of agreeing to give Shas the Education portfolio, a charge he denied in a Knesset speech two weeks ago, when he said that his party would keep the ministry in a Likud-led government. "I proved that I know how to say no to Shas," Livni said at the meeting. "There are values that we want in our children's education, and Jewish tradition is one of them, but it's not the only one. Kadima will say no to giving the Education portfolio to Shas and we know who will give it to them." Livni accused Netanyahu of promising Shas the portfolio when he met with Yosef during her coalition talks with the party last month. She said voters had to choose between a candidate "who is ready to give everything to Shas" and a candidate, namely herself, who is not. Kadima leader Tzipi Livni's recent verbal attacks on Shas were really intended to harm the Likud, according to a haredi strategist working with Kadima who preferred to remain anonymous due to his sensitive position in a party with an anti-haredi message. She continued the attacks on Sunday, telling a youth convention in Tel Aviv that anyone who wanted to see the Education portfolio given to Shas should not vote for her. "Kadima's fight is not with Shas," the haredi strategist said. "The real fight is with Bibi [Likud chairman Binyamin Netanyahu]. Livni used the opportunity of [Shas mentor] Rabbi Ovadia [Yosef]'s comments [that secular teachers are asses] to arouse potential Kadima voters." "By showing there is a real danger that Shas might receive the Education Ministry, Livni encourages more potential Kadima voters to come out to the voting booths," the strategist said. "Also, Livni knows that an attack on Shas will actually strengthen Shas. And this is also good for Kadima, because Shas will get stronger at the expense of the Likud. The Likud is Removing the Gloves gloves on Kadima and her Chair. In A campaign Event in Tel Aviv, Limor Livnat said : " Livni would Die that People should Join her Party like in Likud. I saw how she begged to Chaim Ramon with the tongue rolling to him to stay in Kadima" . Yaron Dekel (Arutz 1) : Tzipi Livni and Kadima are considering a campaign against Sarah Netanyahu. Senior members of the Kadima party have claimed recently that Prime Minister Ehud Olmert is sabotaging Chairwoman Tzipi Livni's election campaign and not behaving as would be expected from a prime minister during elections. The criticism grew stronger over the weekend, after Kadima members read the public opinion polls and realized that their party was losing power, while the Likud and Chairman Benjamin Netanyahu were gaining popularity. "Olmert fails to consider the fact that Kadima has entered an election campaign period," said one senior official, known as the prime minister's close associate. The criticism was mostly directed at Olmert's statements during the state ceremony in memory of former Prime Minister Yitzhak Rabin on Jerusalem's Mount Herzl, when he said Israel should return to the 1967 border. "His remarks are irresponsible, particularly when it comes to diplomatic issues, and voices opinions which suit the Labor Party or Meretz," said one of the officials, a Kadima minister. Senior party members have also claimed that the prime minister excludes the foreign minister from diplomatic processes and is trying "to make her look small". According to one minister, "Olmert is erasing Kadima. First he erased (Labor Chairman Ehud) Barak and now he wants to erase Livni, because they were both responsible for his dismissal process." Former basketball player Tal Brody will hold a special press conference Tuesday with Likud Chairman Benjamin Netanyahu to announce that he will be running for a seat on the party's Knesset list. Head of Kadima's campaign bureau, Interior Minister Meir Sheetrit, admitted Monday that based on recent polls Likud leader Benjamin Netanyahu stands a good chance of forming a government and becoming Israel's next prime minister. "I predict a dangerous situation in which the rightist bloc would win 65 Knesset seats and Netanyahu would have a greater chance of forming a coalition," he said in a meeting with foreign reporters. "The Labor Party is no longer relevant," Sheetrit added. "The struggle now is between Kadima and the Likud. The public needs to take into consideration that if Bibi is elected – the peace process will be completely frozen, and this will lead to severe economic stagnation. Likud to invest half of campaign budget online. The campaign for the upcoming Knesset election is moving online, as parties set aside major chunks of their campaign budgets for Web development and look to Barack Obama's successful model. Sani Sanilovich, who is coordinating the Likud Internet project, says the party wants to conduct an "Obama-style campaign." 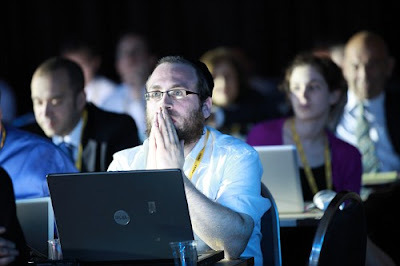 Likud Chairman Benjamin Netanyahu, who has filmed a series of Web ads for the site, "very much believes in the medium. Once every two days we collect questions and proposals, and he answers them directly. He's also on Facebook," says Sanilovich. Likud intends to use the sites to build social networks, host blogs for Netanyahu, Likud faction members and bureau staff, and bring in volunteers. The site in Russian will also post updates and call for volunteers, but its bloggers will be Russian-speaking "celebrities," such as authors. Visitors to the Russian site will also be asked to help choose a campaign slogan in Russian. Kadima will run a personality-based campaign that highlights the differences between party leader Tzipi Livni and front-running Likud candidate Binyamin Netanyahu, Kadima strategists said Sunday. The campaign's steering committee met for the first time on Sunday at the party's Petah Tikva headquarters. Political consultants Reuven Adler, Lior Chorev, Eyal Arad and Kalman Geyer discussed strategy with Livni, Transportation Minister Shaul Mofaz, Public Security Minister Avi Dichter, Interior Minister Meir Sheetrit, Knesset Speaker Dalia Itzik and Foreign Affairs and Defense Committee Chairman Tzahi Hanegbi. Sources who were present at the closed-door meeting said the goal of the campaign would be to "take off Netanyahu's costume." They said they would not run a campaign of personal attacks against Netanyahu, but would present him as "a sweaty populist who gives into pressure, makes unstatesmanlike decisions and who took away people's pensions." The campaign will also suggest that electing Netanyahu would harm Israel's relations with the United States, disenfranchise the poor and prevent any chance of reaching peace with Syria and the Palestinians. The slogan, "Kadima: What's good for the country," is intended to convey a message that Livni puts the nation ahead of her personal interests, while Netanyahu puts himself first. Another strategy will be to persuade the public to give Livni a chance to be prime minister instead of "recycling Netanyahu." "This elections is about who will sit in the driver's seat and lead the country," said Itzik, who will chair the campaign. "There are those who were there before and were voted out. We have people who are new and not recycled." A participant in the meeting said the campaign's leaders were not concerned about Friday's polls that indicated a lead of six to 11 mandates for Likud over Kadima. "There are no worries about the polls," he said. "The polls won't dictate when we worry, just like previously they didn't dictate euphoria." The Likud party slammed the criticism voiced earlier in the day by Kadima and Labor regarding Opposition Chairman Benjamin Netanyahu's past performance as finance minister. "Netanyahu was the one who saved Israel's economy from collapse and the pension funds from bankruptcy," the party said. "Members of both Kadima and Labor supported the reforms led by Netanyahu at the time, criticizing Netanyahu now out of cheap campaign interests is nothing short of fraud." Defense Minister and Labor Chairman Ehud Barak on Sunday lambasted his political rival Benjamin Netanyahu, the Likud Chairman, as being incapable of ensuring Israel's economic wellbeing. "Who will take care of your economic future, Bibi? Bibi took your pensions," he said, using Netanyahu's nickname. He also laid into his coalition partners in the ruling Kadima party over economic policy. 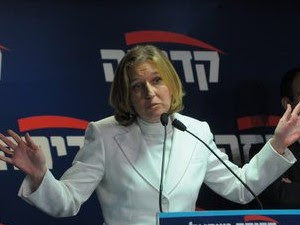 "Who will repair [the situation], [Kadima Chairwoman] Tzipi Livni? [Finance Minister] Roni Bar-On? That bunch of flipflopers in Kadima?" added Barak, speaking at a party gathering. The Labor Party held a member's rally in Tel Aviv on Sunday. Party Chairman Ehud Barak told supporters not to pay too much attention to polls, saying that "the numbers are not good, but they're not that bad. "We know how to put up a fight and the public knows who can give it real leadership, and a chance for a better future," said Barak. "I'm not perfect. It's not hard to spot my mistakes, but I can assure you that I'm ready for the real test of leadership." The grandson of Ze'ev Jabotinsky, founder of the Revisionist Movement announced Sunday he will be joining the Likud. Jabotinsky, who is his grandfather's namesake, said that "we hope that the leadership formed after the next elections, with Benjamin Netanyahu heading it, will be able to bring back hope and get the country back on the right track." Netanyahu welcomed Jabotinsky to the Likud, saying it was "a privilege for the Likud to have a man like that within its ranks." "I'm very happy that he decided to take time out from his busy life to join us… Things have come full circle. It is a privilege for the Likud to have such a man in its ranks, contributing to both the party and the country," added Netanyahu. ''I admit I'm excited. It's a privilege to join the movement," Ze'ev Jabotinsky told reporters. "The last time Jabotinsky, Begin and Netanyahu served the Jewish public was in World War II, when they tried to save Europe's Jews from annihilation. Today we are a team again and we want to do everything we can to meet the challenges Israel is facing." Israel, added Jabotinsky, is plagued with the absence of hope: "You can see it in low voter turnout. We hope the new leadership, under Netanyahu, will be able to bring back hope and get the country back on the right track. I consider it a privilege to join the party and shoulder some of the burden," he concluded. Speaking in a closed meeting with Shas activists in Herzilya, Margi said, "Kadima's strategists would be made members of honor in any newspaper editorial board in Europe in the 1930s." According to the MK, "We can only imagine what the cartoons look like in Kadima's newspaper, expressing the messages emerging from their chairwoman's office. Those who portrayed the haredim as extortionists grew up in the habitat of those who painted Jews as mice." He added that "today we understand what the strategists meant when they spoke of different politics. They meant white politics. As far as Kadima and its strategists are concerned, those who are not white do not exist, particularly if they are black." "I am amazed at those who claim to be the best strategists in the country. We already had one party which used the worst propaganda methods and was wiped off the map, because the public denounced it and vomited because of it. Kadima will likely end up like Shinui." Likud Chairman Benjamin Netanyahu announced today (Monday) the appointment of Ali Ayalon Back to the election headquarters of the party. Ayalon is used in recent years as CEO of Dy.asse. Fi Group on a member server and the Center Board of Governors of the Technion university in Ariel. Ayalon's appointment indicates the intention of Netanyahu put key roles election headquarters professionals rather than politicians. The heads of Kadima's election campaign will hold a press conference Sunday in the party's headquarters in Petah Tikva, in which they will try and convey the following message: "Replacing the old with the new, replacing the old with change." Although public opinion polls predict that the ruling party will lose power in the upcoming elections, Ynet has learned that Kadima officials are betting on 30 Knesset seats and have set the campaign's expenses accordingly. The heads of Kadima's election campaign are expected to attack the Likud and its leader, Opposition Chairman Benjamin Netanyahu, as well as the "stars" who recently joined the party. They will also try and convince the public that Livni is the candidate who should meet with the new American president, Barack Obama, after forming a new government, rather than Netanyahu "who presents (former Minister) Benny Begin and (former IDF Chief of Staff Moshe) Bogie Yaalon". The Kadima officials are also expected to explain that Netanyahu's team "is not really new, but recycled". A senior party member said, "We don't need opportunists, and everyone knows what Begin and (former Minister Dan) Meridor really think about Netanyahu." Another senior official told Ynet, "Everyone knows who was kicked out of the Prime Minister's Office shamefacedly several years ago. This didn't happen 200 years ago, but a few years ago. "We have already tried the other candidates, and they haven't taken us to glorious places. The Likud is one big recycling, and we have seen all of them before. Bogie Yaalon is the new big star?" The Kadima members went on to slam Netanyahu and his conduct. "Let's not kid ourselves," said a senior member of the party's election campaign. "Everyone is the same in all parties, in ours too. But Netanyahu hasn't changed. "He remains quiet all the time, and they make sure he doesn’t talk. They're afraid he'll talk nonsense so they silence him, and an entire team is watching him for fear of a slip of the tongue." GRUMBLING LIVNI - NOT MY CLASS! Bibi's 'shopping spree' continues: Ze'ev Jabotinsky, the grandson of famed Zionist and Revisionist leader Ze'ev Jabotinsky, will run in the upcoming Likud primaries, in an attempt to win a spot on the party list ahead of the upcoming general elections. Jabotinsky announced his intentions to Likud Chairman Benjamin Netanyahu. Bibi is expected to officially present Jabotinsky during a press conference at Likud headquarters in Tel Aviv. 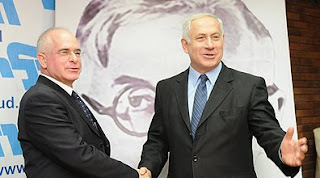 Netanyahu has been engaging in talks with Jabotinsky for a while now, and Ynet has learned that the two figures recently agreed on the latest move. The Likud leader is apparently interested in maintaining the positive momentum created in the past two weeks, after other "stars" joined the party. In an interview on Friday with Channel 2, Kadima chair Tzipi Livni criticized the negotiations between Likud chair Benjamin Netanyahu and ultra-Orthodox party Shas. "Whoever is willing to sell everything in an attempt to reach the prime minister's seat isn't worthy of that position," Livni said. She added that despite being unable to form a coalition, she is proud of the fact that she didn't compromise her principles during negotiations with Shas. "At the point that I was required to pay an impossible price, I said that it is not possible, knowing that Bibi would have given in," said the foreign minister, adding, "I have no doubt that Shas knows what it can get from me and what it can get from Bibi. If anyone in Israel wants the country to look like that, he should vote for Bibi." Kadima leader Tzipi Livni attacked the Likud in a speech at Kadima's council meeting Thursday night, kicking off a negative campaign intended to boost the party in the wake of polls indicating that it has fallen far behind the Likud. "I left the Likud because of its internal management problems and its inability to advance any plan on any issue," Livni said. "It's a party that can only say no on every issue. The Likud is still the same Likud, it still has no direction and the people are the same people." Kadima strategists said the attacks on the Likud would intensify next week with Internet advertisements highlighting historical inaccuracies and extremist statements Likud chairman Binyamin Netanyahu had made in the past. The ads will show Netanyahu praising the then-censored attack on a Syrian nuclear facility and remind voters of the budget cuts he made that hurt the poor. The strategists' goal is to counter the positive messages of politicians who fought with Netanyahu in the past and have now rejoined Likud and to emphasize that the race is a choice between the leaders of the two parties. Uri sheni, the Chief of staff of former PM Sharon, in a interview on Channel 1 , Praised Netanyahu's readiness this time of the Campaign, "Bibi is a Exceptional campaigner, He made a brilliant Course with his move.... and will Score many Points...All the respect to Him.."
Who do you expect to become the next PM? Who is Compatible to be Prime Minister? what concerns you the most , that should be the next government first Priority on? With no real Solutions and no Accomplishments over the past few years and Answers to the real Problem's that our country faces , Kadima-Livni will repeat their ongoing negative campaigning, and personal Attacks on Mr. Netanyahu. We can tolerate 3 Months of Negative attacks, but the Israeli People can not Tolerate 5 more years of negative accomplishments, negative Solutions, and Zero Leadership and mismanagement on Security, the Future of our Land, and The state of the Economy, Enough is Enough!. Israel is looking out for solutions, for Leadership, for Answers, and for Positive steps to get us out of the Ditch ,and once more bring this Country we so Love to a Safer & Better Future. On Feb. 10 Israel will choose Yes! for a Secured nation, Yes! for a strong Economy, Yes! for Leadership, Yes! for Straight talk and Straight Walk, Yes! for a Brighter & Better Future for our Kids and generations to Come. After designing a website similar to that of Barack Obama, Likud Chairman Benjamin Netanyahu has now hired two of the US president-elect's advisors to help him in his election campaign. On Thursday the opposition leader finalized the employment of Bill Knapp and Josh Isay, who have worked in recent years with candidates of the Democratic Party in the United States, as well as former President Bill Clinton, Senator Joe Lieberman, New York City Mayor Michael Bloomberg and president-elect Obama. The man who mediated between Netanyahu and the American consultants was Ron Dermer, one of the Likud chairman's strategic advisors who formerly served as Israel's minister for economic affairs in Washington. Knapp and Isay arrived in Israel several days ago and held a series of meetings with strategists Israel Bachar and Ron Dermer, as well as with Netanyahu himself. On Thursday the two advisors agreed to work with the former prime minister and to close monitoring his election campaign in Israel. According to estimates in the political arena, Netanyahu has completed the round of professional appointments for his election campaign. The two American advisors will join the opposition leader's team, which includes bureau chief Ari Harow, spokesman Yossi Levy, strategist Roni Rimon, advertiser Shaya Segal and political advisor Shalom Shlomo. LIVNI ! READ MY LIPS OR THE PAPER? "Netanyahu as Finance Minister discovered real Leadership with his act against the current, and the deed of steps that that hurt him personal - all for the favor of the Country". "Sure, Kadima won't sell the country to the haredim – seeing as they'll sell it beforehand to the Arab though concessions in Jerusalem," said an irate Yakov Margi, chairman of the Shas party's Knesset faction. Margi was referring to comments made by Kadima chairwoman, Foreign Minister Tzipi Livni, earlier Thursday evening at a meeting of Kadima's board. In a particularly harshly-worded speech, Livni first went after her former political home, calling the Likud "a party that knows how to say no about every topic. Kadima will be representative of Israel and will determine its identity as a Jewish state, without selling the country to the haredim along the way." Margi said Kadima was proving itself no different from the extinct Shunui party. "Those who promised a different kind of politics today presented white politics," said Margi, adding that Kadima's will share Shinui's fate. Livni began her speech by addressing the primary elections the party faces ahead of the general elections. Just prior to her taking the podium, the Kadima board voted in favor of securing the second-highest slot on the party's roster for Transportation Minister Shaul Mofaz. The proposal was put forward by the chairman of Kadima's party affairs committee, MK Tzachi Hanegbi. "Kadima is comprised of people who left other homes. I left the Likud. Others left other parties," said Livni. "I left the Likud because I couldn't stay because of how it conducted its internal politics, and because of its inability to lead any progress in any field. This is a party that just knows how to say no to everything. "The Likud is the same Likud, the party is the same party, they still do not have a path, and the people are the same people." ''To succeed, we must first believe that we can''. At a time of a national Economic crisis, and a International crisis (Iran achieving its ability to create a nuclear) we must Elect a Leader that has shown and has proven that he can build up a shaken Economy and can bring security to the Israeli borders, Only a Man that has proven his ability, his courage to put his own political future aside, and build up a strong long lasting Economy, with lower taxes, and less spending, should have the courage to stand up again and fight to regain the trust of the Israeli people, and be put again in charge of the ship that will take us to a better Future. According to nuclear experts quoted in the New York Times on Thursday, Iran has produced approximately enough nuclear material to assemble an atomic weapon. The experts, who were analyzing data from the most recent IAEA report on the Iranian nuclear program, added, however, that although Iran has a weapon's worth of nuclear fuel, it still needs the technological know how to purify the fuel and produce an operational warhead. SO IS NETANYAHU STILL THE NATIONAL ALARMIST?? On accusations that he has been working alone in his party and not cooperating with others, Barak said, "I know that I have been the bad boy of Israeli politics, and I am willing to accept that, as long as I am sure I'm doing the right things." Opposition Leader Benjamin Netanyahu met with Prime Minister Ehud Olmert on Thursday and offered the government the Likud's support for a financial plan which would provide a safety net for pension and retirement funds. Netanyahu, who held a brief impromptu press conference in Jerusalem after the meeting, did not disclose Olmert's response, and refused to take any questions. "The global financial crisis is threatening those how have savings in pension funds, and we have to act quickly on the matter. I met with the prime minister and offered him our cooperation in order to provide these funds with a safety net. "Let me remind you that I did a similar thing when I was the finance minister," continued Netanyahu. "We pumped NIS 80 million (approx. $20 million) into retirement funds. We have to take similar action and we have to do it fast. There is no coalition or opposition when it comes to this matter. We have to work in order to secure people's savings and in order to create more jobs." In the first round of the 2009 election campaign, Likud won. Likud under Benjamin Netanyahu succeeded in preventing Tzipi Livni from forming a government, succeeded in redefining itself and succeeded in creating momentum. In contrast, Kadima under Livni failed in its coalition negotiations and failed in creating a high-quality, moral leadership team. At the end of the first month of the great war of images, Likud is the new Likud of Moshe Ya'alon, Dan Meridor and Benny Begin, while Kadima is the same old infected Kadima of Shaul Mofaz, Roni Bar-On and Tzachi Hanegbi. Likud is demonstrating power, modeling morality, the rule of law and leadership experience, while Kadima is limp, hiding behind a rosy-cheeked face on a hollow campaign billboard. The second round is likely to be different. The Likud primary is liable to scar the new face that Netanyahu gave his party. But for now the trend is clear. The center-right bloc is being managed better and more wisely than the center-left bloc. While Likud has taken on board the lesson of the Olmert-era, Kadima is perceived as the continuation of that period. While Likud is positioning itself as the party of the new politics. Kadima is wallowing in the old politics. Livni's left-of-center is making gross mistakes that are paving the nationalist right's way into power. Two years ago, David Grossman gave Israel its only public moment of truth in the past decade. His speech in Kikar Rabin after the Second Lebanon War was an Obama speech par excellence. He electrified a wounded, helpless nation by standing up, with courage and with grace, against a hollow leadership. Grossman's performance in the Tel Aviv square and the concept that he coined there also define the current election campaign. The question the public is asking now is not left or right--it's serious or not serious, focused on the issues or corrupt. The question is whether a leadership that failed in its duties and forsook the country will be replaced by a moral, functional leadership. Netanyahu has many faults, but he is aware of this. Livni has many virtues, but she is not aware of this. She did not openly rebel against Ehud Olmert, instead continuing to enjoy his patronage. She did not fight corruption or defend the rule of law. She did not put together a suitable leadership team or offer a peace, economic or educational plan. And so, on February 10 Netanyahu is liable to be viewed as the candidate of change, while Livni is liable to be viewed as the candidate of business as usual. Likud is liable to present itself to the public as a genuine leadership, while Kadima is liable to present itself as Hollow Leadership, part deux. JERUSALEM: A pair of polls published Thursday showed opposition leader Benjamin Netanyahu's hardline Likud party leading Foreign Minister Tzipi Livni's moderate Kadima party in the run-up to Israel's Feb. 10 elections. The polls also indicated strong support for Netanyahu's hard-line allies. If that support stands through the elections, it would position Netanyahu to put together a hawkish coalition that would likely end peace talks with the Palestinians, at least in their current form. A poll published in the Haaretz daily on Thursday showed Likud garnering 34 seats in the 120-seat parliament, up from its current 12, followed by Kadima with 28. Kadima, the ruling party, currently has 29 seats. The poll forecast the once-dominant Labor, headed by Defense Minister Ehud Barak, winning just 10 seats. The poll, conducted by the Dialog agency, surveyed 488 people and had a margin of error of 4.5 percentage points. A poll in the Yediot Ahronot daily had similar results, forecasting 32 seats for Likud, compared with Kadima's 26. It said Labor would receive just eight seats, making it just the fifth-largest party. The Dahaf Research Institute poll of 500 people had a margin of error of 4.6 percentage points. Benjamin Netanyahu linked himself to Barack Obama and said he is Israel’s candidate of change. Netanyahu, the Likud Party leader and a front-runner in the February election for prime minister, offered a multi-pronged approach for saving Israel economically and making peace with its Arab neighbors during a plenary session Wednesday of the United Jewish Communities General Assembly. The former prime minister told the crowd of several thousand lay and professional leaders of the Jewish federation system on the G.A.’s final day that his economic policies—including lowering taxes and reducing the welfare rolls—when he served as finance minister moved Israel away from “virtual collapse” in 2003 to a booming economy. Now with the global economy collapsing, Netanyahu said Israel could capitalize on the declining world market by dropping taxes even further to inspire foreign investors. As a small country, Israel would “only need a trickle” of potential wealth from the global community to significantly improve its position, he said. In linking himself with Obama, Netanyahu citied several meetings with the U.S. president-elect and used the Obama mantra of change in what amounted to an American-style stump speech. On the peace front, Netanyahu said he favors pursuing achievable incremental agreements rather than chasing an elusive final-status deal, and wants to focus on bolstering the “moderate parts of the Palestinian economy” to foster the conditions for political agreement. “Peace and security require a new direction, and an economic challenge that requires reinvigoration, and we intend to do both,” Netanyahu said. “Any change involves overcoming vested interests. There are always champions of the status quo. There are always the naysayers,” he said. “You have to show that consistency of vision and purpose that can change the lives of Israelis, the lives of Israelis and Palestinians." Israel is not a religious state but mainly a nation-state, Foreign Minister Tzipi Livni said Wednesday in a speech at the 2008 United Jewish Communities' General Assembly held at the Jerusalem International Convention Center. "Israel is not a monopoly of rabbis," the Kadima chairwoman noted. "Israel is a Jewish state, but a Jewish state is not a religious state but mainly a nation-state." She explained, "We must not forget Israel's ultimate goal to be a Jewish, democratic state living in complete security. A Jewish state is the nature, tradition and history of our people, regardless of what one chooses to do at one's own home on Shabbat and holidays. Likud has criticized the Treasury's market stimulus plan, saying it was "a small plan for a big crisis." "The plan does not offer a safety net for pension funds or real steps to prevent a rise in unemployment," the party said in a statement. JERUSALEM (AFP) — Israel's opposition leader Benjamin Netanyahu said on Wednesday a Palestinian state should only be created once the economy is strengthened, adding that this would be at the heart of his peace plan if he wins February elections. "Economic development does not solve problems, it mitigates them and makes them more accessible for solution, and creates a stronger political base," . He went on to say that his government would continue US-backed peace talks with the Palestinian Authority in an effort to reach "an agreement on agreeable issues." Netanyahu rejected the current format of the peace process, saying he would not hand over the Palestinians occupied territories before strengthening the West Bank economy, fearing that radical Islamists backed by archfoe Iran would seize power there. "Any area that we withdraw from will be taken over by Iran," Netanyahu said in a speech before the General Assembly of North American Jewish communities. "All we are doing is creating an additional base for militant Islam." Israel withdrew from the Gaza Strip in 2005, where the Islamist Hamas movement violently ousted forces loyal to secular Palestinian president Mahmud Abbas less than two years later. Netanyahu said that while continuing talks with moderate Palestinians, he would seek "to weave an economic peace alongside the political process" that "gives a stake in peace for the moderate elements in the Palestinian society." The plan will include creating "thousands of jobs and the development of infrastructure" and the removal of Israeli roadblocks across the West Bank in order to allow Palestinian movement "without impeding Israeli society." He would also seek to develop "three or four" joint Israeli-Palestinian economic projects along the West Bank border area with the support of Egypt and Jordan, with which Israel has peace agreements. "This is a definite change I intend to introduce into the peace negotiations,". As I announced a couple years ago at the Joy Conference, I believe that Benjamin Netanyahu will be elected once again as the Prime Minister of Israel. Now, I would like to share a few details. His position as Prime Minister was cut short after a certain bad decision being overly pressured by former President Clinton (understand this is my opinion of something I observed.) No one is perfect, but that certain decision had certain consequences. By word of knowledge, I believe that Netanyahu made peace with God. He is a good man who learns from his mistakes and He does have Israel's best future at heart. I believe that God desires to use Netanyahu to accomplish even greater things. I firmly believe that God desires to give him another opportunity to lead. He is the right man to lead Israel again. I also believe through the prophetic gift that when Ariel Sharon gave up Gaza he would reap serious personal consequences. Many people suffered unnecessarily. I firmly believe that the Gaza should not have been given up and the anger of the Lord resulted. When we pray for the peace of Jerusalem, please also pray for Benjamin Netanyahu and the Likud party to gain power. Pray that the plans of God will succeed and that people in Israel will vote rightly. .....But, despite predictions of doom and gloom, is an Obama-Bibi blowup inevitable? Though the idea that the new president will prioritize the comatose peace process and seek to bludgeon Netanyahu into submission may be a fantasy of some of Obama's fans on the Jewish left, it disregards his innate pragmatism. Clinton committed himself, without reservation, to the concept that Yasser Arafat was a peacemaker rather than a two-faced terrorist. On the other hand, Obama arrives in the Oval Office with no such loyalty to the powerless Palestinian Authority head Mahmoud Abbas. To suggest that rather than concentrate on more-urgent issues, Obama would risk any of his hard-won political capital on such a slender reed as Abbas is absurd. Even if we assume, for the sake of argument, that Obama and his people are inherently hostile to Netanyahu, why would it make sense for the next president to try to force Israel into a corner when the prospects for peace are so bleak? With the Palestinians hopelessly split between the weak Abbas and his Hamas rivals who control Gaza, there is no way that any Israeli government, even the current Kadima-led coalition that is desperate to achieve an agreement, could do so. After all, the reason why Bibi may be headed back to the prime ministership is the failure, not only of the Oslo process, but also of Kadima's unilateral withdrawal concept. Ariel Sharon left the Likud and formed the centrist Kadima Party in 2005 because Netanyahu and his followers wouldn't support the withdrawal from Gaza. His attempt to end the old left-right split in Israeli politics was initially successful, but the the pullout was a disaster. It led directly to the creation of a Hamasistan that bombarded Israeli towns like Sederot. A similar retreat in the West Bank under the current circumstances is unthinkable. This failure of unilateralism has left many Israelis looking back to Likud for leadership. There may be disagreements between Obama and Netanyahu, but the top foreign-policy item in the Middle East, outside of the wars in Iraq and Afghanistan, is not the dead-in-the-water talks with the Palestinians, but something on which Obama and Netanyahu may well agree: the threat from Iran's nuclear weapons program. While the Republicans made much of candidate Obama's ill-considered offer of talks with Iran, Obama also pledged never to allow the Iranians to achieve nuclear capability. If Obama doesn't keep that promise, he will have far-bigger problems in the region than not liking Netanyahu. The letters that identify the Likud and Kadima ballot slips might be better replaced with two large question marks reflecting the true contest for the country's leadership in the 2009 elections. Mr. "Has he changed?" versus Ms. "Is she fit?" That is the dilemma voters will face on February 10, and it is dictating the competitors' very different strategies. The polls give Tzipi Livni an edge on the question of character, while Benjamin Netanyahu has the upper hand when it comes to substance. She is viewed as more judicious and less prone to embarrassing imbroglios, while he is considered more knowledgeable and experienced on both security and the economy. In order to leverage their comparative advantages, Livni must emphasize herself, while Netanyahu must emphasize his positions. All this is evident in the candidates' behavior. Livni's campaign posters, featuring a digitally enhanced picture of her, say "What's good for the country." That may not be as crude as "Netanyahu is good for the Jews," his 1996 campaign slogan, but the message is the same: The other candidate is bad for Israel. As for questions about her suitability for the Prime Minister's office, Livni is trying to deflect these by stressing her current role as statesman and national leader, showcasing her diplomatic trips abroad, her farewell photograph with U.S. President George W. Bush, her cautious involvement in the economic emergency program and, most importantly, the claim that her support for negotiations with the Palestinians will ensure smooth sailing with the incoming Obama administration, whereas the rejectionist Netanyahu is liable to clash with the new American president. Netanyahu has ignored his rival completely, as if Livni were not even in his league. Instead, he has presented action plans for diplomacy, the economy, education and law enforcement, relying on his image as a reformer with a record of getting things done in the Finance Ministry, as well as on his warnings which proved prophetic - that the disengagement from Gaza would lead to rockets over Ashkelon. To deflect questions about his problematic character, Netanyahu is bringing character witnesses: a list of new and returning Likud members, first and foremost Dan Meridor and Benny Begin. The fact that his former rivals are now standing by his side is supposed to demonstrate that he really has changed. After all, wouldn't they know best? Candidates always try to push "change." This is especially true following Barack Obama's stunning ascent from nowhere to the White House. But both Livni and Netanyahu will have trouble getting the public to buy it. Netanyahu has matured, and has learned from Ariel Sharon and Ehud Olmert that he needs to pay attention to other politicians, devote time to them and listen to them in meetings. He has also succeeded in getting this year's crop of hitchhikers aboard the Likud bus, and has quietly renewed his old alliance with Shas. He has moderated his behavior, but his positions have not budged one inch. Netanyahu has been reciting the same mantras for years. What has changed is the public's willingness to hear them, due to its disappointment with the Camp David summit, the disengagement and the Second Lebanon War. He is not offering innovation and surprises. Rather, he seems like a student who flunked but is seeking a redo with a new teacher. Livni underwent a personal change when she rebelled against her family tradition and switched from "both banks of the Jordan" to supporting a division of the land with the Palestinians. But her candidacy for the prime ministership, a direct continuation of her terms as a minister, represents continuity rather than change. However hard she tries to distance herself from the unpopular Olmert, Livni continues to sit beside him at cabinet meetings. Even if Olmert, Abraham Hirchson and perhaps Haim Ramon will be absent from the next Knesset, the Kadima slate is still comprised of members of the current government, not a group of revolutionaries. Kadima, which is expected to only maintain its current strength following the elections, has no room for new stars unlike Likud, whose Knesset representation is expected to grow. Therefore, it is hard for her to respond to the "momentum" generated by the new faces joining Likud. The fact that the parties are virtually tied in the polls guarantees that as election day approaches, the question marks will straighten into exclamation marks, and the battle will become much more personal. Livni's campaign will "remind the public of who Netanyahu is," while Netanyahu's campaign will present Livni as a thin coating of whitewash over Kadima's corrupt, failed gang. The recent revelation about Finance Minister Roni Bar-On's double voting in the budget vote a few years ago was merely a harbinger of the upcoming mudslinging.Both Livni and Netanyahu will try to upset each other and throw each other off balance in ways that will reinforce their respective negative stereotypes: Livni as irresolute and hysterical, Netanyahu as a braggart and a liar. Only then can they prove that he has not changed and that she is unfit. Under such conditions, the winner will be the one who can adhere to campaign discipline, keep his or her mouth shut and keep problematic or unpopular candidates off their party's slate. The challenge for their campaign managers and image consultants will be to keep their candidates from verbal gaffes, even as the rival candidate drives them crazy with attack ads. Israeli territorial withdrawals must stop, former IDF Chief of Staff Moshe (Bogie) Yaalon said Tuesday after officially announcing that he would be joining the Likud Party. During a press conference summoned by Likud Chairman Benjamin Netanyahu, Yaalon said, "My deliberation was not whether to join this or that party, but whether to enter politics." The former army chief said political life would require him to pay a heavy price, but "because I know the challenges this country faces, I couldn't allow myself to just sit idly by." "The challenges Israel faces require a drastic change, considering the feeling of crisis," he said. "The withdrawals must end". Yaalon said he had discussed certain strategic, defensive, and political issues with Netanyahu over the past two years, and the two had concluded that they see eye to eye. "I don't see the Likud as a default choice. I found a correlation between my way of thinking and that Likud's views, and I see it as a real home," he told reporters. The Likud party would win 33 mandates, five more than Kadima, if elections were held today, according to a poll published by the Yisrael HaYom (Israel Today) newspaper. The results of the survey shows that Likud chairman Binyamin Netanyahu would become Prime Minister with a slender majority of 61 Knesset Members. The new line-up in the Knesset, according to the newspaper poll, shows that every other party, except Meretz, would suffer losses. The Greens would win three mandates, giving the faction its first representation in the Knesset. Likud chairman Binyamin Netanyahu warned on Sunday that his political opponents will try to smear him during the campaign ahead of the February 10 , at the Tel Aviv Fairgrounds, Netanyahu reached out to his rivals. He said that if the Likud won the election, he would invite every Zionist party into a broad national unity government. But he stressed there was still a difficult campaign ahead. "We won't be dragged into the bad old kind of politics," Netanyahu said. "They will try to find skeletons in our closets. But our campaign will be positive and will focus on the issues." Netanyahu used the event to showcase "celebrities" who have joined the party, as well as former MKs who came back. Former ministers Bennie Begin and Dan Meridor were received warmly, and Begin's speech received resounding applause. "In the past 15 years, Labor and Kadima governments made promises, resisted warnings and said they would take calculated risks," Begin told the crowd. "Then they admitted that they didn't know how to calculate the risks. That's what happened with Oslo and the disengagement. There will be no more experiments in Israel." Netanyahu reached out to the current roster of Likud MKs, who have become increasingly worried about their political futures with each public figure who has joined the crowded field in the December 8 primary. He asked the MKs to stand up so they could receive the acclaim of the crowd. "These are the people who went with me into the political desert and raised the Likud banner in tough times," Netanyahu said. Likud Chairman Benjamin Netanyahu said former IDF chief of staff, Moshe Ya'alon, is "the number one soldier. He brings with him ethics that I can only describe as 'the Israel of yore'." Ya'alon, who announced Monday that he was joining the Likud, said that his struggle "had not been whether to join this or that party, but whether to enter politics. I know entering politics comes with a price, but I couldn't allow myself to just sit by." ....Tzipi Livni is considered a moderate by Israeli standards, which means that she is rightwing by most people's standards. She rose within the Likud party and followed Sharon and Olmert in starting the Kadima party. She has had some ministerial posts, but, aside from a few interesting comments, she has done nothing to distinguish herself, nor has she taken any risks for her positions. She was a pale and ineffectual Foreign Minister; she would be a pale and ineffectual Prime Minister. Sani Sanilevich, who is managing Netanyahu's Internet campaign, said the Web was one of the biggest focuses of the campaign. "The main advantage of the Internet is the ability to communicate with citizens and people directly," he said. "You can actually hear them and get them involved in this campaign. The whole idea is, together we can succeed. "That last phrase, "Together we can succeed," is the campaign slogan on the Netanyahu site, and it does echo, to some extent, Obama's "Yes, we can." Sanilevich said the Netanyahu campaign plans to make use of Twitter, a mass text-messaging service that sends out short "tweets. ""There are a couple thousand in Israel on Twitter," he said. "We have lots of people using the Web sites registered as volunteers, and I am sure we will be able to use Twitter, which is an amazing tool," Sanilevich said. "I have it on my phone, and I go around with Bibi, and everywhere we go he gives me things to say on Twitter. "Netanyahu aides say direct communication with voters is important for many reasons. One of them is their belief that Israel's mainstream media are not sympathetic to the candidate, and he needs to go around them.The campaign said that, like the Obama operation, it would bombard its supporters with messages about volunteering and donating opportunities and set up a site where supporters could communicate with one another without the campaign's direct involvement.Netanyahu is positioning himself as the candidate of new ideas both for Israel and for peace with the Palestinians.The ideas center on economic opportunities, aides say, cutting red tape to improve the Palestinian economy, building peace from the ground up instead of the top down, and improving life in Israel.